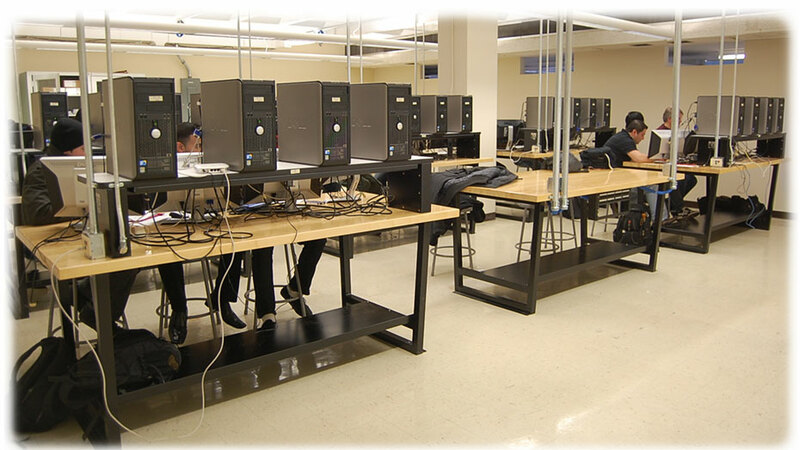 The contents and facilities of the computer communications laboratory has been recently updated since Fall 2010 to provide students with the latest technology on computer communications. The new Computer Communications laboratory is now ready to contribute in the preparation of our students with today's and tomorrow's technology in this subject. 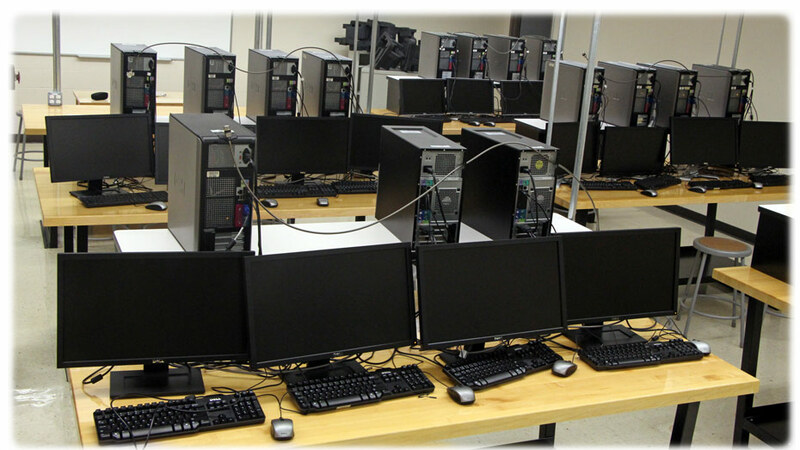 The laboratory has been re-equipped with hardware and software for the study of the different protocols that computer communications use in real life and modern equipment. 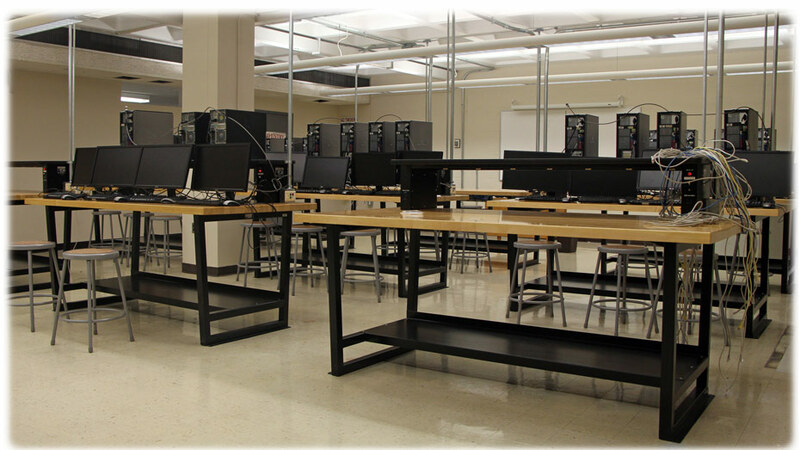 The computer counts with 24 workstations, used as software-based network nodes, a interconnection network that allows the interconnection between stations, and software for student to design, configure, and experiment with different parameters involved with computer communications. The objective of the laboratory is to provide students practical and functional learning on how these protocols work at the different layer of the Internet suite. Today's computer communications is mostly based on this suite; also known as the TCP/IP suite, for communicating with other computers, peripherals, and mobile equipment. Layers contain protocols for the exchange of digital information. Students with some background (ECE422) and familiar with these protocols perform practical experiments and investigate their properties. Students also are introduced to network and application design. This design includes the experiments with protocols at the network and application layers. Students are form teams with one or two other students for planning, designing, performing, and reporting tasks. The TCP/IP protocol stack is defined in four layers. Each of the experimental chapters focuses into one of these layers, which are covered in a bottom-top approach; starting with familiarity of the equipment, which includes hardware and software. The laboratory ends with a practical design of a communications application, where students apply concepts and skills learned in the precedent exercises. The included layers are Data-Link, Network, Transport, and Application. Each exercise is started by a pre-laboratory exercise, where the student is required to perform a preliminary research on topics (some times very specific subjects) needed for the following experiments. A laboratory manual, with the description of objectives and procedures is provided in the laboratory. The manual has been completely developed by Prof. Rojas-Cessa and with feedback from teaching assistants and students through several semesters. The update of the laboratory has been possible by the support of the Department of Electrical and Computer Engineering and the Office of the Dean of the Newark College of Engineering.